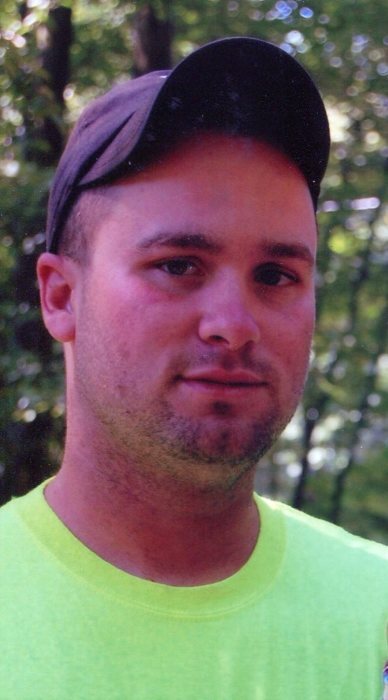 Michael J. Cavanaugh, 36, of Blacksburg, SC and formerly of East Hampton died unexpectedly on Saturday August 11th in Hartford. Born May 24, 1982 in Middletown, Ct, he was the son of Thomas Cavanaugh and Donna (Kelsey) Cavanaugh. Michael had worked in the construction business for many years. By trade he was a heavy machine operator who loved working in the woods. Michael had been a member of the 4H Club when growing up in East Hampton. Michael had a great love for animals especially oxen. He was a dedicated member of Ct. Whiplash Teamsters and spent many hours training and working with steers on the family farm with his son Dane, teaching him the family way. If you couldn't find him on the family farm, you would find him at a fair, helping with the animals, making jokes, pranking someone, laughing or the occasional late night line dancing. Michael was a lover of life with charm and wit to match. Michael struggled with addiction these last few years. It led him to many places that most of us couldn't even imagine. In the end, it took his peace and his life. May he find peace now. We thank you all for your unending love, support and prayers. Michael leaves his father Thomas Cavanaugh and step mother Kathy of East Hampton, his mother Donna (Kelsey) Cavanaugh of Middletown, grandmother Dolly Lathrop of Essex, his son Dane Joseph Bromm, his significant other and Dane’s mother Nina Bromm both of South Carolina, brothers Thomas M. Cavanaugh and his wife Kamey of East Hampton, Randy Cavanaugh and wife Marsha of East Hampton, sister Meghan Cressotti and husband Lino of Maryland, two nephews Lino and Tristin and a niece Ashley, and a great niece Addison. Friends may call at the Spencer Funeral Home 112 Main St. East Hampton on Sunday Aug. 19th from 4:00PM until 7:00PM. Funeral services will be held Monday Aug. 20th at 10:00AM in the Haddam Neck Congregational Church. Burial will follow in Rock Landing Cemetery in Haddam Neck. In lieu of flowers memorial donations may be made to the Dane Bromm Education Fund c/o Liberty Bank 72 Berlin Rd. Cromwell, CT 06416 Attn: Cara Ehlers VP.